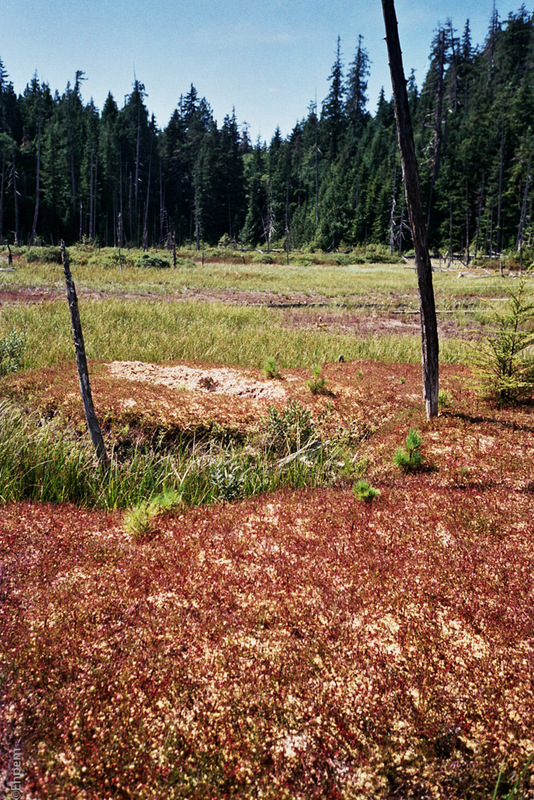 Textures in the bog around the perimeter of Darkwater Lake on Quadra Island seen last summer. EDIT: added a shot for context in response to comment below. I like this, but I never would have known it was a bog! Are the lighter areas lichens? Hi Lynn. 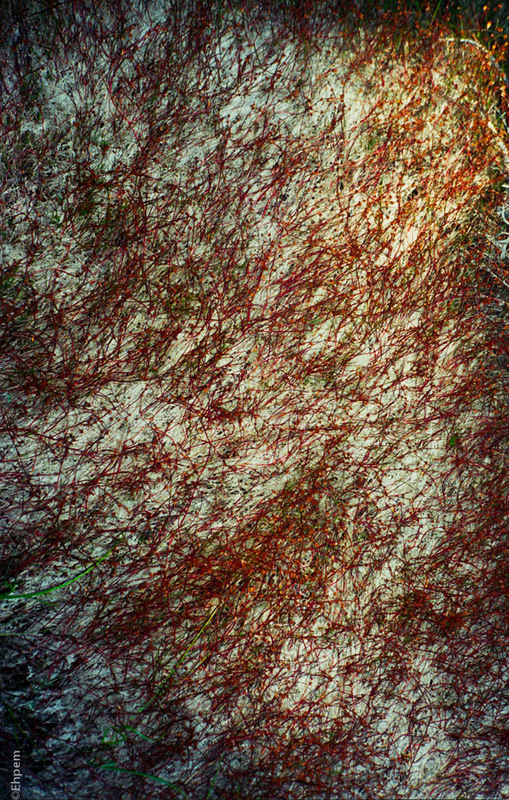 I am not totally sure what the light areas are – I think they may be mats of decayed vegetation. These plants were growing on wobbly hummocks that stood a foot or so above the rest of the blog and were a bit drier. It is possible that it is wind-blow silt or similar caught in there, but I think just decayed plant material. I added another shot of the location for context.